These porcelain statues were produced by Lawleys By Post (a branch of Royal Doulton) in 1993. 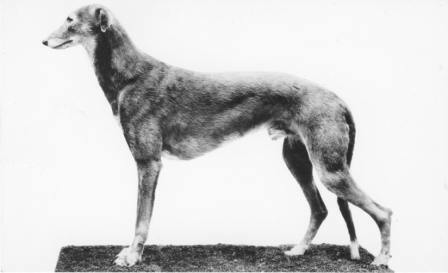 They were designed by Graham Tongue and limited to to 7,500 pieces. Also included was a certificate of authentication. 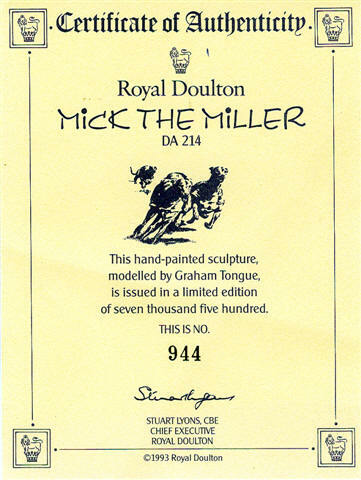 Mick The Miller was Royal Doulton`s first Limited Edition dog.